These activities will help you to read historic maps and begin to trace changes in landscapes through time. There are two activities in this section: identifying symbols and compare and contrast maps. 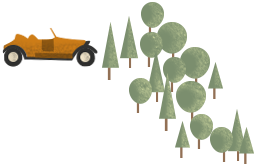 Symbols are used on maps to easily identify common features. Once you can understand symbols and read an historic map and identify what has been recorded, you can begin to trace the development of features through time. There are interactive games you can work through or, if you are working in a group, extend your knowledge by downloading the 'Try it yourself' and 'Go further' PDFs you'll find in both sections. Maps have a lot of detail on them. They show every single building, feature and landmark in the landscape. Because of this, it is very difficult to label exactly what is there. To get round this, cartographers use symbols which can be used to show common types of features, buildings and landmarks. Work through the interactive game or, if you are working in a group, extend your knowledge by downloading the 'Try it yourself' and 'Go further' PDFs below. Understanding symbols and keys are an important part of reading historical maps. Download the 'Try it yourself' PDF and work through the activities to understand where and how symbols are used in maps. You can also learn how to use a key to help you to read maps more accurately. Map-makers use colour and representations of height to help people better understand what the landscape looks like on the ground. Download the 'Go further' PDF and see if you can add some colour to your maps! Archaeologists use historic maps to trace the development of features and landscapes through time. They do this by comparing maps and finding out what has changed and what has stayed the same. When they look carefully at maps, they can begin to find out a lot about how people lived in the past. Have a look at the maps of Melrose. See if you can spot changes and differences through the ages. Is there one feature you can see which stays the same in all maps? Is there one feature which appears half way through or disappears? Can you start to tell the story of Melrose through the ages? Find more maps to compare and contrast on the NLS maps website. Comparing maps to find out changes in an area is an important part of building a picture of the past. Archaeologists do this by looking at maps from different times and identifying features which have stayed the same and changed. Download the 'Try it yourself' PDF to find out more about how to compare and contrast maps. 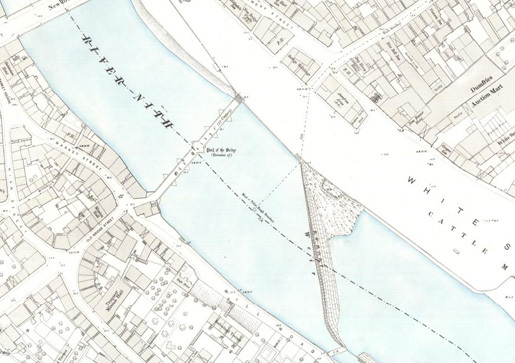 Making sense of information on historic maps can tell you more about the history of an area. Download the 'Go further' PDF and work through the activities to start finding out more about the past!